Converting website visitors into paying customers is never the easiest task to accomplish and nobody ever said it was going to be a walk in the park. Yet, there are simple ways to entice your visitors enough to convince them to try your products and services. Even more appealing, if you set your website up correctly, not only will potential customers start buying your products and services, they may end up becoming your rabid fans. So how do you convince people to pull out their wallet, take out their credit card, and buy something from your site? You follow these seven simple tips to make it happen more often than you’d imagine possible. On a side note, researching those longtail keywords is a great way to bring more traffic to your website. So build a strong presence in the search engines, rank highly for targeted keywords in your niche, and you’ll have even more customers dying to buy everything you sell. Believe it or not, social proof is alive and well and it’s not going away anytime soon. In this case, by showcasing logos of other amazing businesses you’ve worked with on your site, it proves to potential customers that you’ve worked with some of the top, more well-known companies in your industry and you’re willing to shout it from the mountaintops. All in all, you can avoid this step if you do not have too many customers worth showcasing at first. But, as time goes by, you need to begin adding these logos to your website because your conversion rates will definitely increase because of them. People love buying things that are specifically tailored to meet their needs. So, you’ll find it easier to get people to sign up to your mailing list, etc. when you create something specifically for them. So develop a unique product for each of your customers if it’s possible in your industry. If not, try not to worry about it too much, just try to create products or services geared toward specific segments of your audience. Nobody wants to visit a slow website, right? In fact, people tend to click away from slow loading pages in about two or three seconds. So, if your website loads slowly, take the necessary steps to speed it up. You’ll have fewer visitors bouncing from your site and your conversion rates will increase accordingly. Again, this gets right to the heart of social proof. By using customer testimonials to your advantage, you get to show potential buyers your previous happy customers. 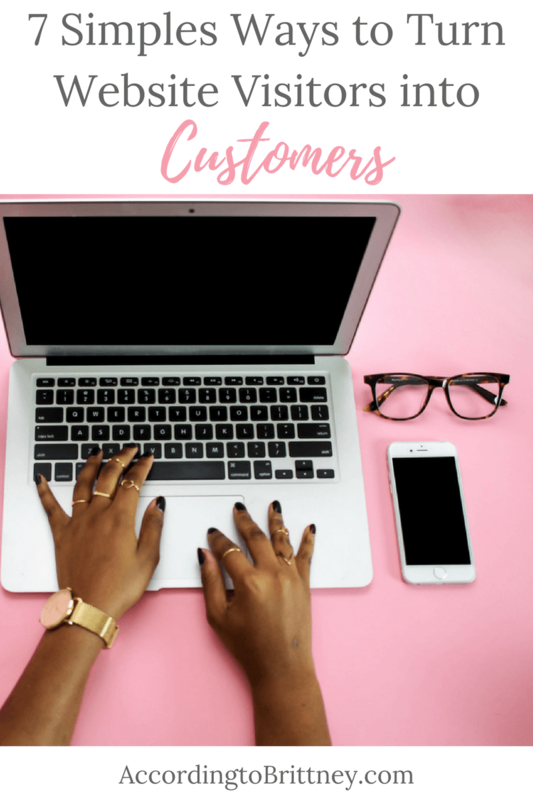 When adding testimonials to your site, make sure you share your customer’s full name, their business name, and even put a picture of them on the site if possible. This shows that you’ve worked with real people and/or real businesses and you’re proud to share their stories with your readers. Case studies have a tendency to convert to leads very well because you’re providing proof of the value of your product or service. This might not be possible for every type of online business, but when it is valid; you should create case studies and take advantage of this excellent conversion booster. When attempting to build a mailing list, it’s possible to convince your website readers to join by limiting access to the content on your site. This may scare some people away because they don’t want to give you their email address. On the other hand, the people who do sign up are very interested in what you have to say, which will ultimately lead to them buying your products and services. Every time someone buys one of your products or services, make sure you share this information with your audience. Potential customers will see other people taking advantage of your offerings and join the herd and do the same. Clearly, it’s possible to convert website visitors into paying customers. Simply use the suggestions we’ve shared today and you’ll see a remarkable difference in your conversion rates. How does your website bring the customers to the yard? Comment below. This post was written by Ashley Lipman of Altitude Branding.